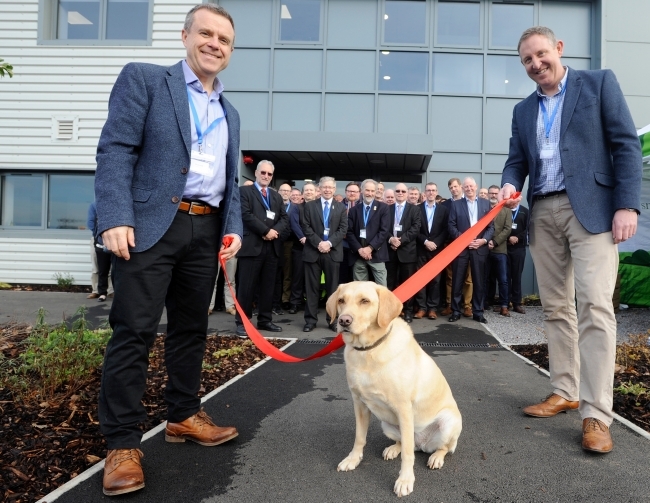 Devon-based natural pet food firm, Forthglade, has officially opened its brand new 70,000 sq ft factory. The new factory based at Okehampton, right next to Dartmoor National Park, will support Forthglade’s ambition to become the UK’s leading natural pet food manufacturer and is set to increase the already 130-strong local production team to 150 staff over the next few years. Established in 1971, and previously based in Winkleigh, Forthglade’s purpose-built factory will be crucial for the company to meet the high demand of its award-winning natural pet food, which last year produced 40 million healthy meals for dogs. The new factory is set to double this production figure. The development took 15 months to complete. The new factory will ensure the highest standards of quality and food safety, as well as raise the company’s green credentials with the use of recyclable white trays and sleeves, recycling water and by using excess steam from the production process to also heat its offices. Forthglade’s Joint MD’s, Chris Brooking and Gerard Lovell, both with a background in food production, took over the once struggling business in 2011, with the successful business turnaround increasing production fourfold and soon creating an additional 71 local jobs. Gerard Lovell, joint managing director at Forthglade, said: “We’ve been planning the development of the factory for over five years now, so it’s fantastic to officially open it. Throughout the project we’ve received incredible support from Devon County Council, whilst Devon Contractors Ltd ensured a smooth build and seamless transition from the old Winkleigh factory to our new Okehampton home. Today, Forthglade’s 100% natural dog food is sold in major supermarkets including Waitrose, Sainsbury’s, Morrison’s and Tesco, as well as UK pet shops, online and exporting oversees to 11 countries.